Tremont is a great little neighborhood in Cleveland that is full of culture and amazing food! In between quaint shops and markets, there are Italian, American, Mexican restaurants and so much more. 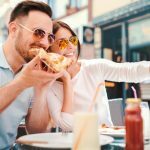 One of those great spots is an upscale pizza place that will be sure to please everyone in your group. 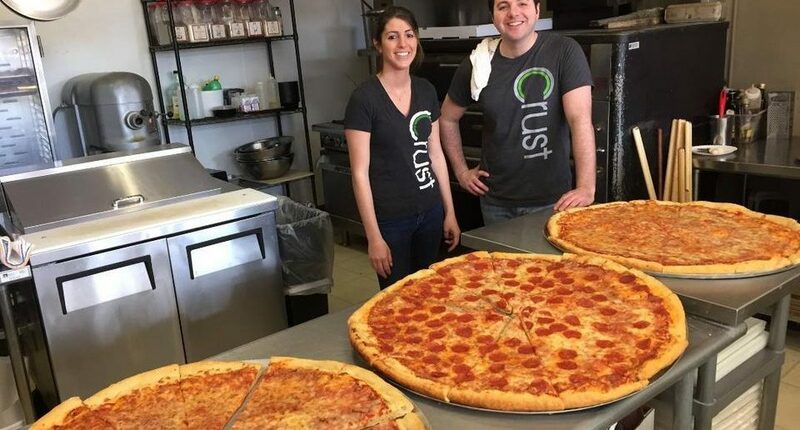 Crust has two locations — the Tremont spot and the downtown location, both offering a great selection of pizza and other classic Italian dishes but the Tremont location offers the best selection. It is complete with pizza, pasta, subs, and salads. The reason that people love Crust is thanks to its large portions, delicious food, and overall great ambiance. It has been said that a slice of Crust pizza is what other pizzerias call a small or medium pizza. So, definitely have a group of friends to share some of this tasty food with! The salads are also a generous size and there are plenty of kinds to choose from, like the “Park” (garlic roasted potatoes, caramelized onions, red pepper, cucumber, tomato, kalamata olives, feta, creamy parm dressing) for $8, the “Bacon & Blue” (bacon, pickled red onion, hard boiled egg, danish blue cheese, blue cheese dressing) for $8, or the classic “Caesar” (tomato, shaved Parmesan, Caesar dressing) for $8. Pizzas come in 12” (Medium) for $16 or 16” (Large) for $18 sizes and both have eight slices. There are many specialty pizzas like the “Hot Stuff Banana Pepper” (pork stuffed peppers, ricotta, pecorino, red sauce, basil, oregano), the “Lemon Rosemary Chicken” (garlic potato, chicken, mozzarella, pecorino, roasted tomato, feta, red pepper flakes, lemon zest, olive oil), and the “Spanakopita” (spinach, garlic puree, feta, mozzarella, lemon zest, black pepper, olive oil). Like most places, you are able to select a build-your-own option for pizzas as well. They come in the same sizes and start out at $11 and $13 and go up in price depending on the number of and kind of toppings you decide to add to your pizza masterpiece. The Tremont menu features nine delectable subs that have all kinds of great toppings. Favorites include the “Spaniard” (spanish chorizo, goat cheese, roasted red peppers, provolone, arugula, balsamic reduction, garlic mayo) for $11, the “Portabella” (goat cheese, roasted red peppers, garlic, arugula, balsamic reduction, tomato basil mayo, olive oil) for $9, and the “Fried Chicken” (blackened chicken breast, hot sauce, romaine, tomato, provolone) for $11. Overall, Crust is a quaint, fun place for pizza. It’s really great during the warmer months when you can grab a slice and enjoy the nice weather. However, even in the winter it’s a place that you should definitely stop in the next time you are feeling pizza with friends and family. The Tremont location is open Tuesday through Thursday 11 am – 10 pm, Friday and Saturday 11 am – 11 pm. Stop in at the downtown location at 2258 Professor Cleveland, OH 44113. Call the restaurant at: (216) 583-0257 or visit their website. See more Best Restaurants in Downtown Cleveland.